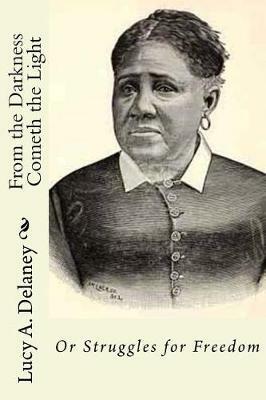 Lucy Ann Delaney (c. 1830-c. 1890s) was an African-American author and former slave, remembered for her inspiring 1891 narrative From the Darkness Cometh the Light; or, Struggles for Freedom, which remains virtually the only source of information regarding her life. The text takes much of its shape from slave narratives and is primarily devoted to Polly Berry's struggles to free her family. Though the story is ostensibly Delaney's, Berry remains the primary driving force and often seems to be more the protagonist than Delaney herself. The narrative is very spiritual in tone, both celebrating what Delaney sees as God's benevolent role in her own life as well as attacking the hypocrisy of Christian slave owners. Also, like many post-bellum slave narratives, From the Darkness does not so much recount the horrors of slavery as attempt to show the strength of the African-Americans who suffered them. Consequently, the narrative continues after Delaney's freedom, showing her fortitude following the death of her first husband, and later her four children. Delaney also celebrates her later political involvement, arguing for the potential of African-American citizens in American democracy. 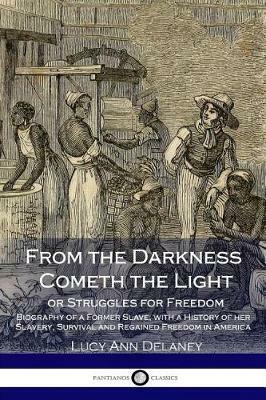 Buy From the Darkness Cometh the Light; Or, Struggles for Freedom (Dodo Press) by Lucy A Delaney from Australia's Online Independent Bookstore, Boomerang Books.